Come capture the spirit of Milton's quintessential equestrian estate "Cross the Creek Farm". 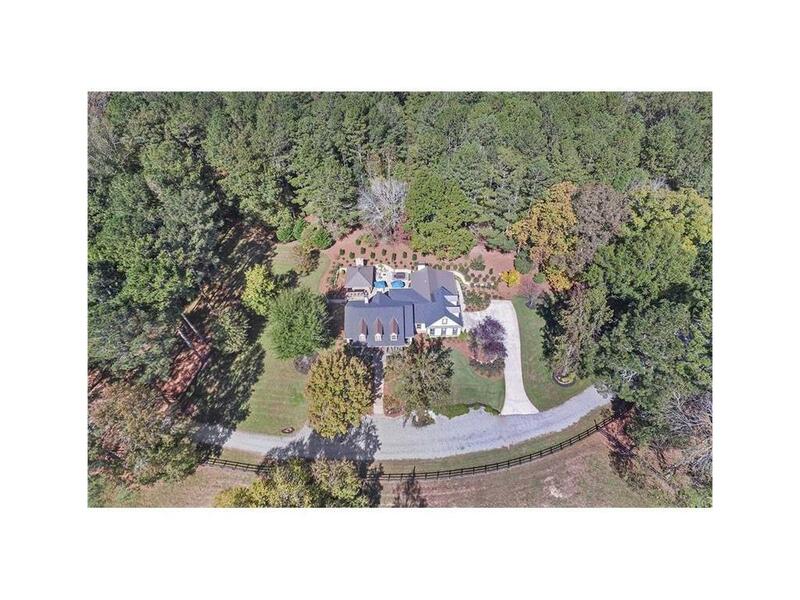 Located on coveted Wood Road, this farm sites on over 12 acres. There are 6 magnificent, flat paddocks, an arena, + 2 barns. The 6 stall barn features a tack rm, feed/hay bay, workshop, kitchenette + bath. There is an add'l 2 stall barn. Inside the house, the soaring open great rm + kitchen set the stage for gathering + entertaining. The newly remodeled master bedrm is stunning. As the day comes to an end, unwind fireside under the pavillion w/family+friends. Welcome home! Directions: From 400 N, Take Exit 9, Proceed Lft On Haynes Bridge, Lft On Old Milton Pwy, Rt On S. Main St To Lft On Canton Street, Rt On Hopewell Rd, Lft Redd Road, Rt On Freemanville Rd To Lft On Phillips Ct. Slight Rt On Iconic Wood Road. Enjoy The Scenic Drive To 15535 Wood Rd On The Right.